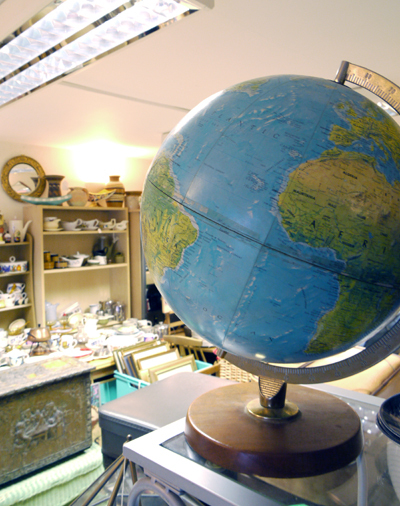 Last week we went junk shopping around the local junk/antiques shops. Sally's eagle eyes spotted this beautiful 1970's globe which I then had to carry it all the way back home! You can take a closer look at the globe (and even buy it) here.